Wasp Nest Removal Battersea SW11: NMT Pest Control safely destroy wasps nests at short notice across Battersea, south west London - Welcome to NMT Pest Control. We control bed bugs, moths, wasps, mice, mouse proofing, cockroaches, ants, flies, spiders and other unwelcome visitors. Welcome to NMT Pest control. Wasp nest removal and Pest control in Battersea. Our Battersea Wasp killing treatment is guaranteed to kill all wasps! Our Battersea Wasp pest control operatives are trained to BPCA/RSPH level 2 certificate standards, are fully insured to a value of £5.000.000 and use discreet, non sign written Battersea Wasp pest control vans. NMT Battersea Wasp Control are the leading wasp nest treatment and wasp nest removal business covering Battersea & south west London. Our treatments are 100% guaranteed and our track record precedes us. 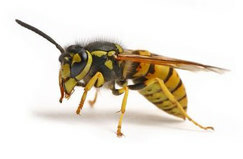 Battersea Wasp Control provides a same day/ next day wasp nest treatment service. Residential and business oriented wasp removal and wasp nest treatment service for Battersea, South West London. We treat wasps in all varieties of properties, regardless of whether you have a wasp nest in your loft, your shed or in your back garden, NMT Wasp nest control Battersea can take care of your difficulty. We provide a same day service with no extra change for weekends or bank holidays. Wasps tend to be most bothersome from July on wards and they represent an unwelcome downside to the lovely summer weather . If you discover a wasp nest in Battersea W11, call Neil at NMT pest control on 0203 2922179 today! To book a Wasp removal/control appointment in Battersea or request a call back either call or use the form below!